All 3 Kits contain a Thor Inverter, 2 10 ft lengths of 4/0 power cable, a Thor remote switch and wiring lugs. These are the minimum you will need to install your inverter. RoadTrucker recommends that you consider Kit 2, unless you have a 400 Amp fuse to protect wiring and Inverter from possible shorts. Kit 3 also includes a Thor battery isolator which will keep your main starting battery from being drained, should battery voltages drop below 12.7 volts. 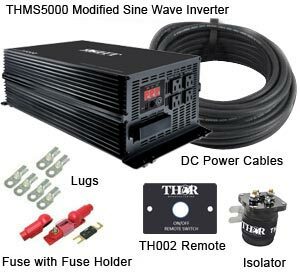 Thor professional grade power inverter kits are highly recommended for all mobile applications to ensure superior safety and efficiency. 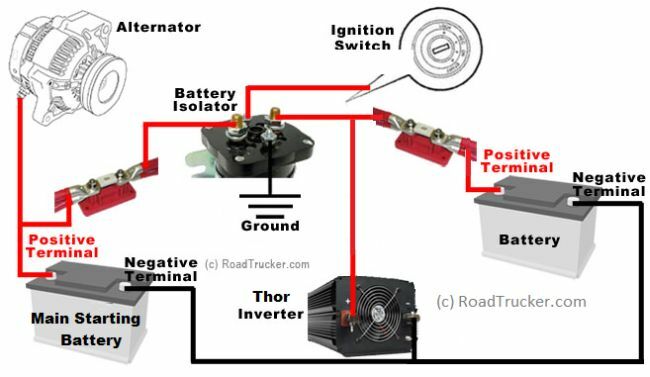 See Thor Power Inverter Feature Comparison Chart. Kit 1 & Kit 2: 36 lbs.